I am sure you sometimes wonder, “Why was it necessary for the children, all the people of God to be killed?” They were eaten by lions. What an awful death that must have been. They were burned with fire. They were put to the sword. Why was it necessary? Look at 2 Timothy 4:4, And they shall turn away their ears from the truth, and shall be turned unto fables. 5 But watch thou in all things, endure afflictions, do the work of an evangelist, make full proof of thy ministry. 6 For I am now ready to be offered, and the time of my departure is at hand. Paul is saying that because of his ministry, because of his stewardship, because of his priesthood, he was “ready to be offered.” Do you know that the priest offered himself first? When he went to the Altar of Incense, he offered himself. The people put their hands on him and they confessed their sins before him: adultery, theft, lying, murder, and he took all of the sins, staggered in before God, and offered up for himself and for the sins of Israel. The fire went up, the smoke went up and God accepted it. So therefore, there is an offering to take place in our time. An offering that soon will be. But did you know that there were some people who were too poor to give the offering (see Leviticus 14:21-22)? Can you understand what that says? Some people were too poor to make the offering, therefore God said that they should get two doves and the doves would be the offering for that person – Holy Spirit. Yes, the Holy Spirit would come in. Leviticus 14:10, And on the eighth day he shall take two he lambs without blemish, and one ewe lamb… “On the eighth day.” What is that saying? That is saying that on the new beginning – eight is the number of new beginning – God is going to create an offering. God Almighty is saying that He is creating a people and you are going to be among those people, in the company of the Lamb. In the morning, Jesus Christ died. Thank God, He gave us His Blood and He saved us from our sins. In the middle of the day, the Church and all those who went towards bringing this Church here – starting with Abraham and going right down through the whole nation of the Jews, bringing forth Jesus Christ, bringing forth life in my soul. Then, we become the next lamb – the last lamb to be offered is the two witness company. Amen. Thought for today: We become the next lamb – the last lamb to be offered is the two witness company. Let us look at Leviticus 14:10, And on the eighth day he shall take two he lambs without blemish, and one ewe lamb of the first year without blemish, and three tenth deals of fine flour for a meat offering, mingled with oil, and one log of oil. A log of oil is two gallons. How would you like two gallons of oil to be poured over your head? What are we talking about here? You and I know that Jesus Christ is the Lamb. But have you ever thought whether Jesus Christ was a “ewe” lamb, or a “he” lamb typology in scripture? He was a “he” lamb, or a “ram.” Yet, Leviticus 14 is telling us about three lambs. It says that there is a “he” lamb, there is a “ewe” lamb, and another “he” lamb. Let me tell you what the LORD showed me about this matter. We are talking about a man who has leprosy. In the Old Testament, leprosy means sin. Sin, uncleanness. We were all lepers, thank God. We were all lepers and we have been made clean by the sacrifice of Calvary. But then, why were we made clean? It is that if God offered Himself – Jesus offered Himself for us, that we should not love our lives unto the death. We should also offer ourselves for the deliverance of our fellow man. I’ll tell you something. Jesus died. Jesus brought salvation. There are good men out there who can’t believe it. Do you know that? There are good people who can’t believe it and they have to get to a certain place in conviction before they can believe it. Now, let me ask you something. You have some neighbors, don’t you? And they know you, right? Suppose your neighbors saw that you were arrested and condemned as a terrorist, and they decided to execute you. They executed you and your picture was in the newspapers and on the television, everybody saw it, and your neighbors knew that you were gone. One day, exactly three-and-a half days afterwards, you walked over to your neighbor and said, “Hello!” Let’s assume that your neighbor is an unbeliever. Tell me what would happen to that unbeliever? He would be a believer! You have given absolute conviction. There would be no other reason for him to be an unbeliever after that moment. Now, the scripture says that when Jesus resurrected from the grave, the first person that He talked to was Mary Magdalene. But when she ran in to tell the brothers, they said she was “gone;” she was hysterical. They couldn’t believe it. Imagine that Jesus told them time and time again, “After three days I will rise again.” They didn’t understand what it meant. They had never seen anybody rise – BUT they saw Lazarus! Yet somehow or the other, it was too good to be true. Those were believers, and yet the power of unbelief was so strong on them. Now, if they would kill all of us and the next three-and-a-half days we would start walking the streets of the cities – what would happen to all the people who knew us and knew we were killed and who were unbelievers? They would be shocked into belief! Let me read a scripture for you, because you believe that I am giving you a hypothetical case, but I am not. Let us turn our Bibles to the 11th chapter of Revelation. 7 And when they shall have finished their testimony, the beast that ascendeth out of the bottomless pit shall make war against them, and shall overcome them, and kill them. 8 And their dead bodies shall lie in the street of the great city, which spiritually is called Sodom and Egypt, where also our Lord was crucified. 9 And they of the people and kindreds and tongues and nations shall see their dead bodies… Did you notice that? He is making a spectacle of their dead bodies. …see their dead bodies three days and an half, and shall not suffer their dead bodies to be put in graves. 10 And they that dwell upon the earth shall rejoice over them, and make merry, and shall send gifts one to another; because these two prophets tormented them that dwelt on the earth. Brethren, the two prophets are nothing else but the Body of Christ, filled with the Spirit of Jesus Christ, and the Word of God. You know, I turned to God and I said, “But God, can the Spirit and the Word die, and their bodies be laid in the street?” Do you know what He said to me? “Can’t they?” When He said that, I said, “Oh, yes.” Jesus did, because Jesus was the embodiment of the Spirit and the Word, and He died and rose again. You cannot judge men with unbelief, because there is a type of man who would believe if that happened. There is another type of man that would believe if you would preach the Word to him. 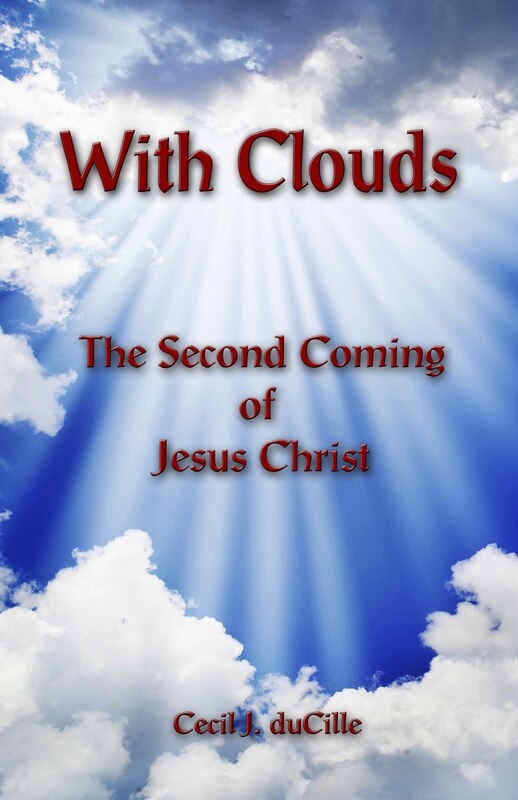 But God is going to wring the earth clean of every one that could be saved. And this is the LAST offering. Thought for today: Let us offer ourselves for the deliverance of our fellow man.